BAITADI, July 11: Farmers of Surnaya Rural Municipality in Baitadi have started commercial goat farming. Each family in Surnaya-6 has 10 to 30 goats in their pen. Local farmers started commercial goat farming after Poverty Alleviation Fund (PAF) helped them to purchase goats. The fund has selected Surnaya-6 as the pocket area for commercial goat farming. A total of 50 families here have benefited from the fund. Rachana Chand, a member of Jeevan Jyoti Goat Farmers" Group, said that local farmers were attracted toward commercial goat farming as there are good pasturelands in the area. Rachana, who has 20 goats in her farm, said that technical and financial support provided by the PAF encouraged her to start commercial goat farming. “I had only two goats in my farm a year ago. After the PAF started helping us, I left other jobs and started focusing on goat farming,” Rachana added. She earned Rs 30,000 recently by selling two gats. Likewise, Tara BK of Kharkadhara in Surnaya-6, said the PAF"s support has worked wonders for us. “My financial position was very weak. But the loan extended by the PAF has turned things around. Things have become lot easier now,” Tara added. Tara's husband is in India for foreign employment. She is now planning to call her husband back and expanding goat farming further. Success of commercial goat farming in the village has encouraged other villagers to take goat farming seriously, Tara Awasthi, president of Jeevan Jyoti Goat Farmers" Group, told Republica. The PAF has helped 50 farmers involved in commercial goat farming by forming a committee under its program. The fund has allocated Rs 2.5 million for the program. Local farmers say traders are coming to their farms to buy goats. “Goat farming is flourishing here because there are plenty of pasturelands near the village. 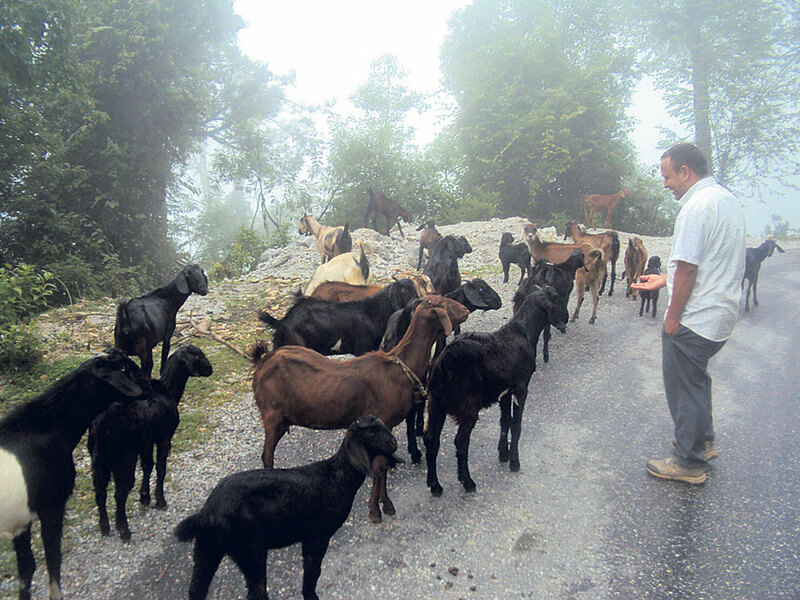 The success of goat farming here has encouraged people of other adjoining villages as well,” Prem bahadur Chand, a local, said. But local farmers have to face serious problem if goats suffer from different diseases, as there is no veterinary technician in the village.